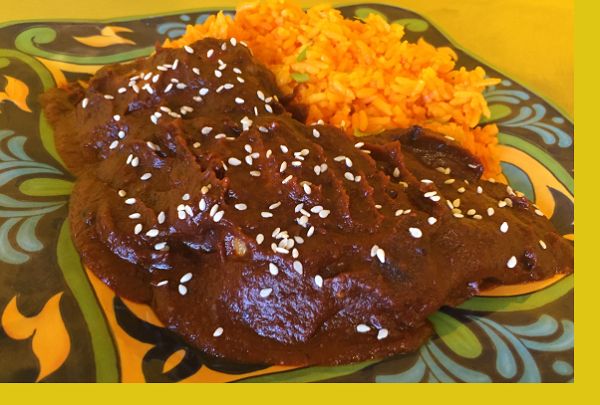 Mole, the signature Mexican sauce, is a unique blend of spices and Mexican chocolate. It makes a rich and complex sauce that's just over the top delicious with tender chicken. Served with Arroz Amarillo aka yellow rice. Cover large saute pan with oil and heat on medium-high heat. Saute chicken 5 mins per side or until brown and crispy then remove, cooking in batches if necessary and adding more oil as needed. 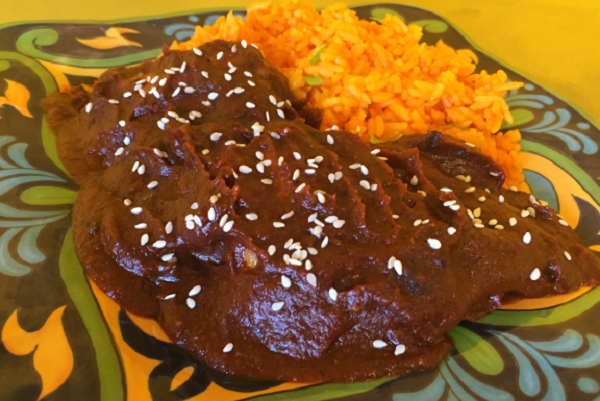 Add chicken mole sauce and reheat on low heat. Once warm, add chicken back in and heat until cooked through. Reheat the rice in microwave and serve. I added corn tortillas to scoop it up...so good.